We got a nice update from Corey that the cats are doing fine in their new home after a period of adjustment. As we expected, they seem to have him well trained already as concerns nighttime feeding requirements, playtime, etc. 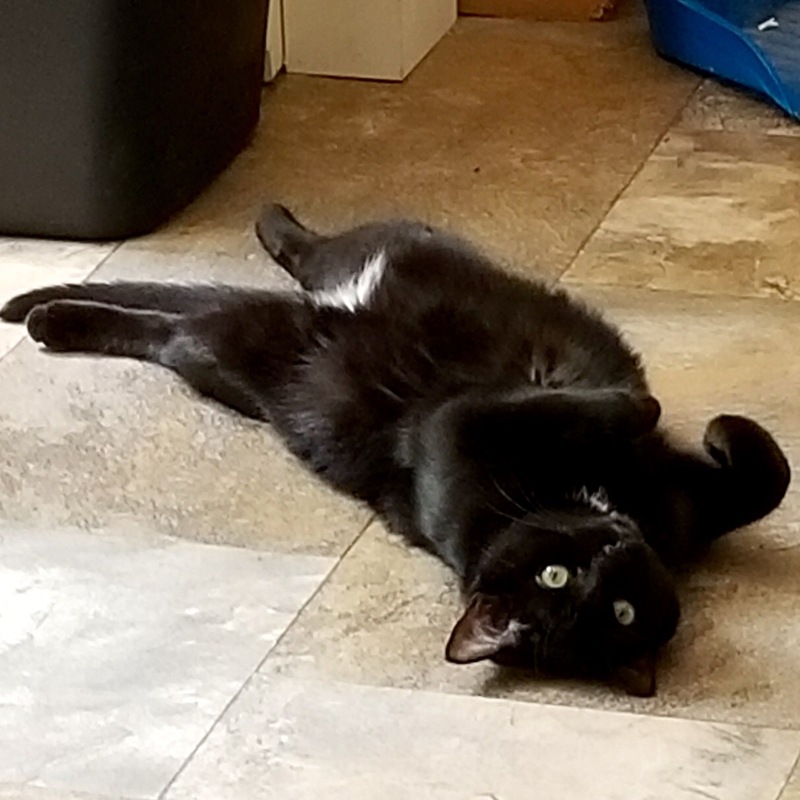 This pose, which we recognize very well, indicates the need for the human to come rub the royal tummy, whilst preparing for some friendly biting and playing, as long as the cat isn’t actually required to do any work.